According to what I was told, this is a special size, with a special sumatra wrapper unlike the regular habano wrapper on the regular production line of the A. Fernandez signature series. It features a slightly lumpy caramel brown wrapper leaf, with visible veins, only a couple of them large enough to feel. The body gives off an aroma of mild tobacco, with a slight spice. The foot smells strongly of sweet tobacco with a slight fruit aroma on top. Very pleasant. Seams are tight, and look smooth. Overall this stick has a great handmade look and feel to it. Just got a brand spankin' new Palio cutter in the mail a few hours ago, so I'm dying to give it a try... And it is a perfect slice. I only hope everything cuts this well with this cutter in the future. Anyway, I digress. Pre-light draw is perfect in terms of resistance. Not at all firm, but also not so loose that it feels underpacked, or like I am just drawing air. Flavor has a mild spice, a little pepper, and a heavy cedar. Nice flavors, and pretty bold for a cold draw. Initial flavors include a sweet cedar, and a pretty powerful spice and pepper burn over the palette. Draw is good, and after a pair of drags not producing much smoke, it finally opens up and is pretty impressive for such a small ring gauge.The smoke is very thick, and bright white in color. There is a very pleasant sweetness, though I'm not sure yet what it is from. The ash is firm, and white, with nice rings forming around it, all fairly even in shape. It is holding on just over an inch so far, which is again great for such a small ring. There is a slight tunneling happening, and it wants to go out without pretty constant attention by the middle of the first third, which isn't great, but I knew going into it that a 38 ring gauge was going to need some babying. Dominant flavors are still cedar and a good spice and heat. 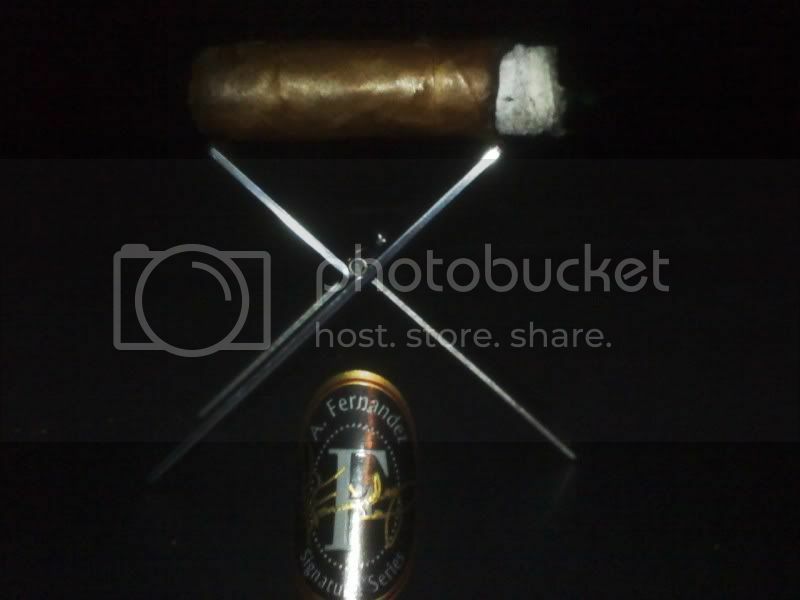 This is a great medium to full bodied and flavored smoke so far, and is also well balanced, giving a sweetness from the cedar and a rich depth from the pepper and spice that borders on earthy. The sweetness I mentioned before is sort of becoming more apparent, though I'm not sure if it is really a fruit or if it is more of a vanilla bean flavor. I'll let you know if and when it becomes more apparent, which I hope it does, because I like it. The burn line is wavy sort of off and on, but is correcting itself perfectly within a draw or two. You can just sit and watch any dips or waves catch up. In the second third The pepper has fallen back a bit, in favor of a smooth cedar and a creamy spice, reminiscent of nutmeg and/or cinnamon, which I guess is the flavor I was trying to identify earlier. Just getting into the last third the strength is coming up a bit. Not anything unpleasant but certainly more noticeable. Flavors aren't really changing through the last third, but are getting considerably more intense, and rich. Smoke is almost chewy as well. 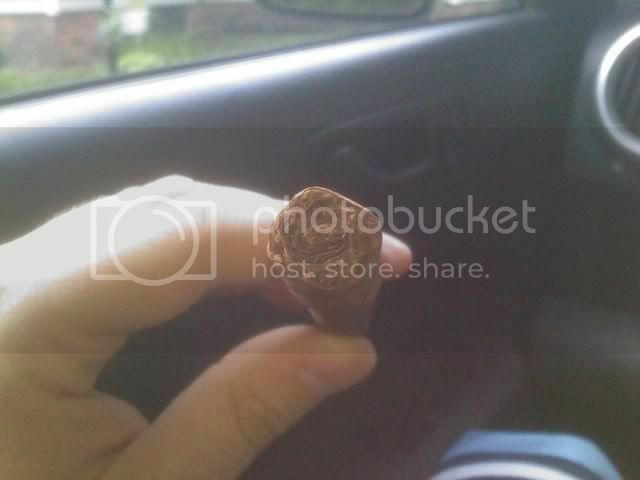 Ended at 9:25 for a total time of one hour 40 minutes, which is an awesome time for a smaller cigar like this. Good all around flavors, and great balance on the palette. Strength never got above a medium-full at most, but the tastes were certainly full. Hope this becomes a regular production for AJ. what is that stand you have?? and awesome last picture. thats good enough to have in CA lol. Got it free with my Palio from... ahem... another online retailer... Sale is over though, it was a special they were doing. damn! it looks pretty sweet. For now the Habano line seems to still be online. I'm really sad I missed out on the maduros. Sounds like the sumatra is a winner as well - we need to convince Alex to have a "heart to heart" with AJ and force him to get some more going! Alex has stated before that it is likely that AJ will bring it back out under a different name, but it may take a while. I hope it isn't too long, it is a great blend IMO. I've had a few of these. They are pretty good. I think I still have one left, but I don't know if I can bring myself to smoke it. Nice review. Wow this thread is right on time...I just smoked one of these over the weekend and it was fantastic. I bought a bunch of these about 14 months ago> Just squirreled them away in my humi and kept looking over them to try new things. they now have lots of age...and man are they good!!! Never had the lancero of these but I know the other sizes are excellent. There is no blender but AJ, and the Beard is his merchant!!! 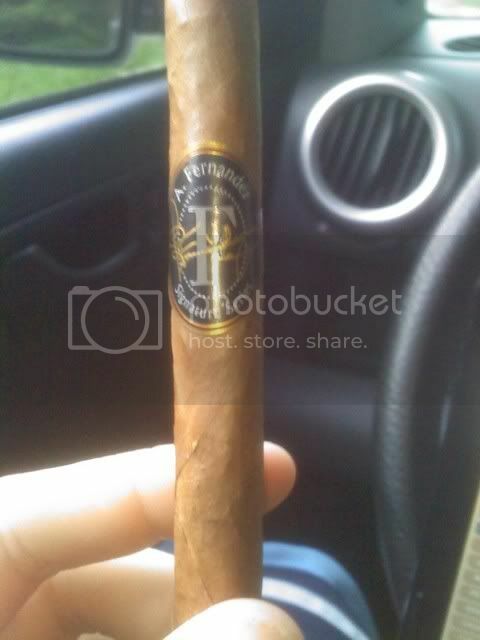 I have to make a retraction...the one I had over the weekend was the current series Habano Ecuador wrapper, Toro. It was still delicious....There is no blender but AJ, and the Beard is his merchant!!! NNNNNNNNNNNNNNNNNOOOOOOOOOOOOOOOOOO. I received one of these a month or so ago and just got done enjoying the hell out of it. No wonder i couldn't find any of them for sale. The lancero? THERE ARE MORE AJF SIG SUMATRA LANCEROS OUT THERE? WUT? MIIIIIINE!!!! Good review ... I need to try one of these !